In Chicago’s Ukrainian Village, Nadya Lysenko has built her life on a foundation of secrets. When she was sixteen, Nadya snuck out of her house in Western Ukraine to meet a fortuneteller in the woods. She never expected it to be the last time she would see her family. Decades later, Nadya continues to be haunted by the death of her parents and sisters. The myths and magic of her childhood are still a part of her reality: dreams unite friends across time and space, house spirits misplace keys and glasses, and a fortuneteller’s cards predict the future. Nadya’s beloved dead insist on being heard through dreams and whispers in the night. They want the truth to come out. Nadya needs to face her past and confront the secrets she buried. Too often the women of history have been silenced, but their stories have power-to reveal, to teach, and to transform. This is one such story. Lupescu weaves together Nadya’s past and present in an almost seamless manner. It was fascinating seeing how her choices in the past affected her life in the present. 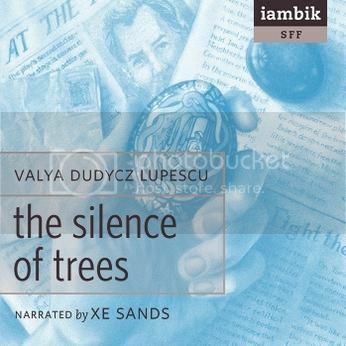 The Silence of Trees was given additional depth by the addition of Ukrainian traditions, folklore, and superstition. These details make Nadya’s life and family come vividly to life. Sands’s narration generally takes me a bit of time to get used to, because she has a much breathier style than most narrators I tend to listen to. Her sentences tend to drift off a bit, forcing the listener to really pay attention. 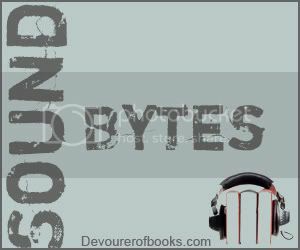 I can see this bothering some people, but if you listen long enough to get the full force of emotion she puts into her narration you are likely to be hooked. Sands also does an amazing job with the different voices and accents in The Silence of Trees. The Silence of Trees is a multilayered story with equally complex narration. Recommended. Ooh, this sounds really interesting. I’ve seen a couple people talking about this, but hadn’t paid attention to it yet. I’ll have to see if my library has a copy. I’ve never listened to anything Sands’ narrated but I’d like to since I “know” her on Twitter. This book sounds good. is that a pysanka on the cover? that is enough to grab my attention. It is! There’s a scene where they’re making them.